Walking into The Children’s Place in Los Angeles in the Farmers Market shopping center, is like walking into a rainbow. Embellished T-shirts, dresses and summer outfits burst with neon colors. Best of all, half the clothing in the store is on sale. I immediately noticed the purple dress that Quvenzhane Wallis (brilliant actress in the Academy Award nominated movie, Beasts of the Southern Wild) wore at the recent MTV Movie Awards. Butterfly Hi-Low dress ($25), Denim Jacket ($23), Neon Hi-Top Sneakers ($23) and a Crystal shine flower pony holder ($3). Bathing suits are all UV protection. As are the matching rash guards. Hi-Low dresses come in all your child’s favorite colors. Little girls love the neon rompers, especially the ones off one shoulder. Babies clothing can match older siblings. 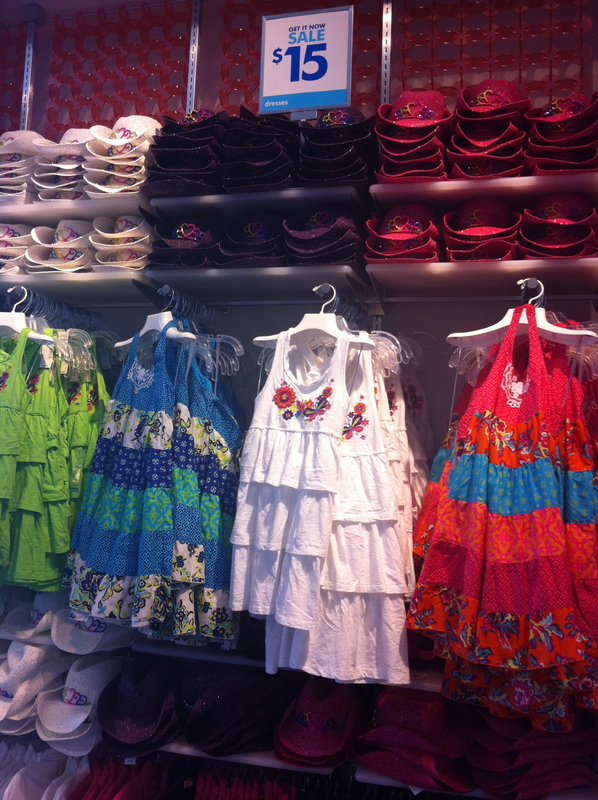 Ruffled skirts are big this summer for sweet babes, as are rompers, shorts and colorful dresses. Other great summer outfits for girls include bright tank tops with colorful seahorse, flamingo, butterflies and beach themes. Neon pull on shorts, skorts, accessories, flip-flops and gem sandals complete super cool outfits. Boys are wearing a Cool Club look button downs and Polo shirts. 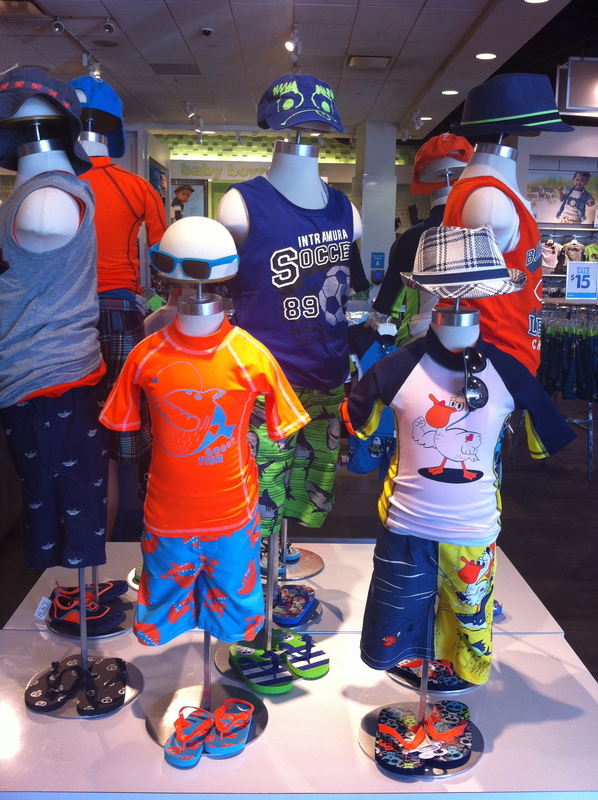 Casual musts are the trendy graphic T-shirts with button shorts. Be sure to check out the sneakers accented in neon. Hats are a must to keep the UV rays off your son’s precious face. Plus they are so stylish. 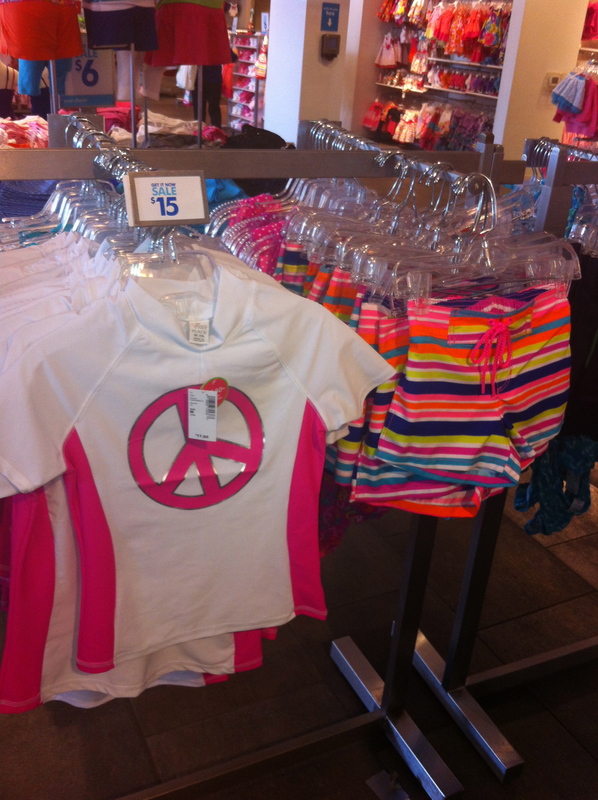 The Children’s Place sells fashions for boys and girls. Infants and children sizes 0 to 12 months, 6m-4T, and sizes 4-14. 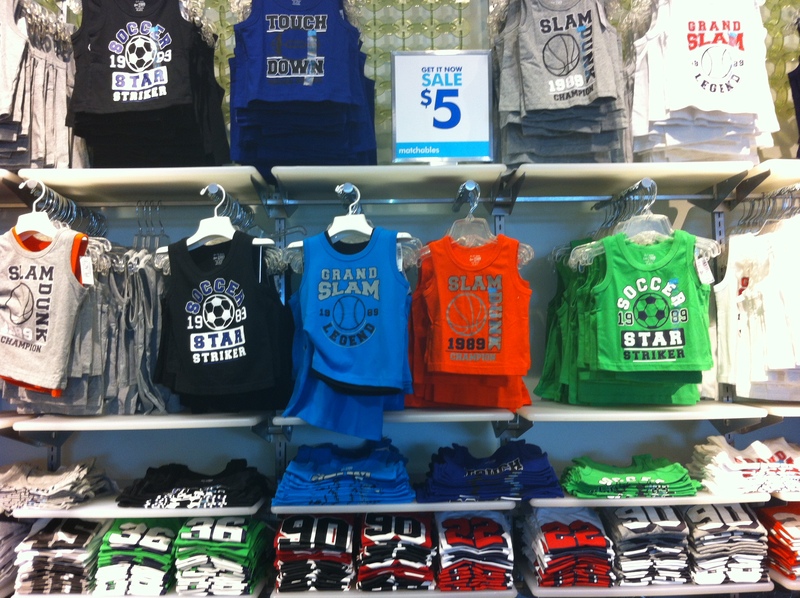 Selections include play clothes,dressy ware, bathing suits, pajamas, tops, bottoms, dresses, onesies, shoes and accessories. 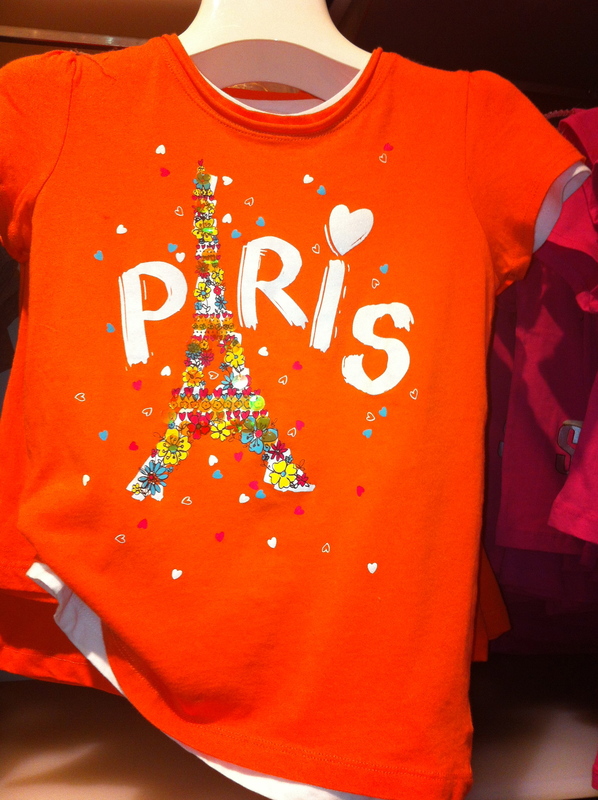 The Children’s Place at Farmers Market is the best place to shop for good quality children’s clothing at affordable prices. Why would you shop anywhere else?